Don’t you get tired of going to bed at night feeling like a failure and then waking up the next day confident that you’re going to keep being a failure at just about everything? Add to that the feeling that God is waiting to smoosh you if you mess up or at least to shake his head at you in disappointment. 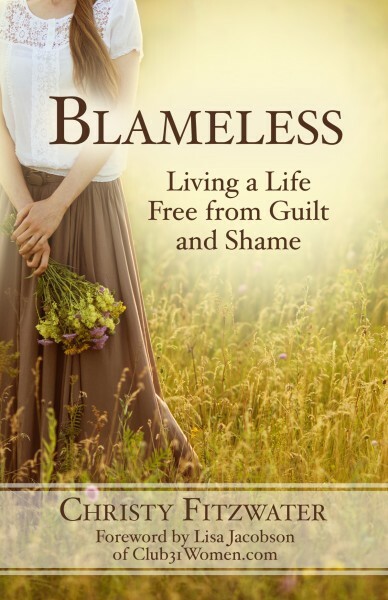 But it has always been God’s plan for you to become blameless. He’s not waiting to hammer you if you blow it. Instead He is daily, patiently shaping you to be faultless. It may feel too good to be true. But what if you could believe that God is doing a great work to make you perfect, and what if you could even mark on the door frame how much taller your soul is growing every day? Wouldn’t that hope change everything?